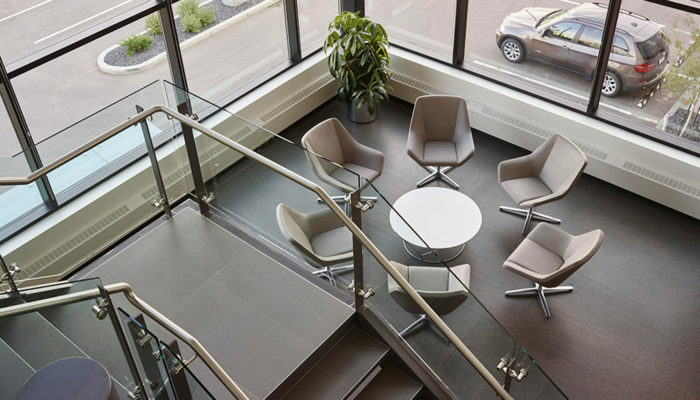 Wavefront : Wolski Design Group Ltd.
Industrial details add character to a modern design. 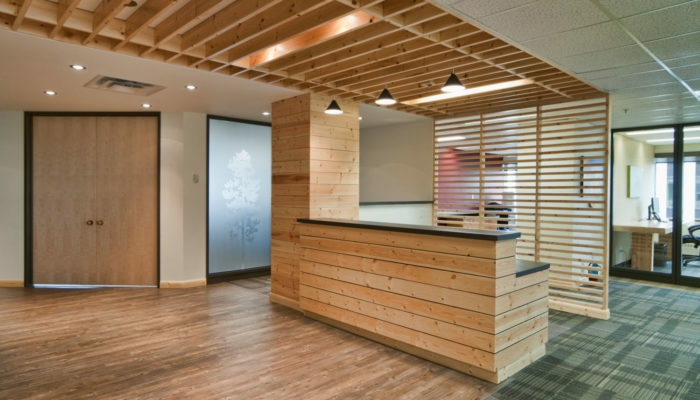 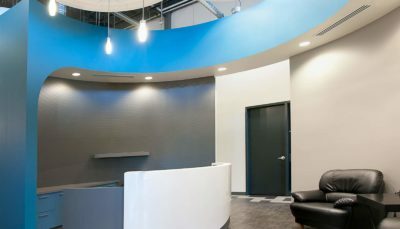 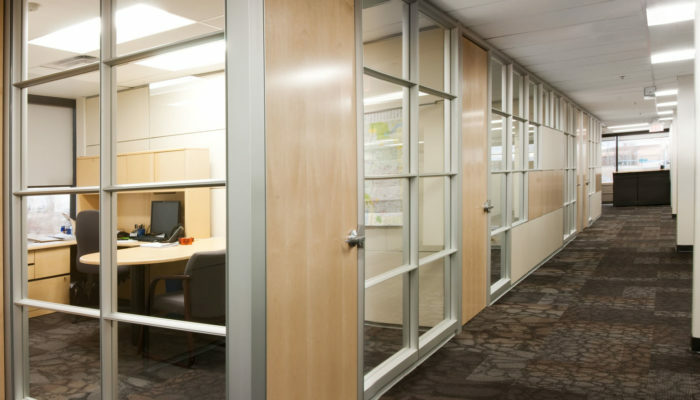 This workspace personifies Wavefront’s global leadership in fracking technology. 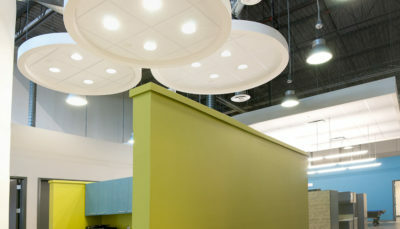 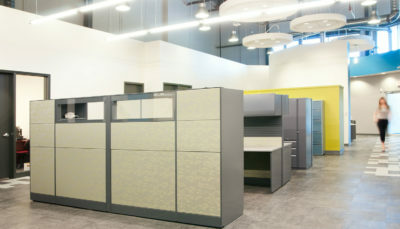 Colourful 10-foot walls divide workstations, while mechanical light fixtures hang from the soaring 34-foot ceiling. 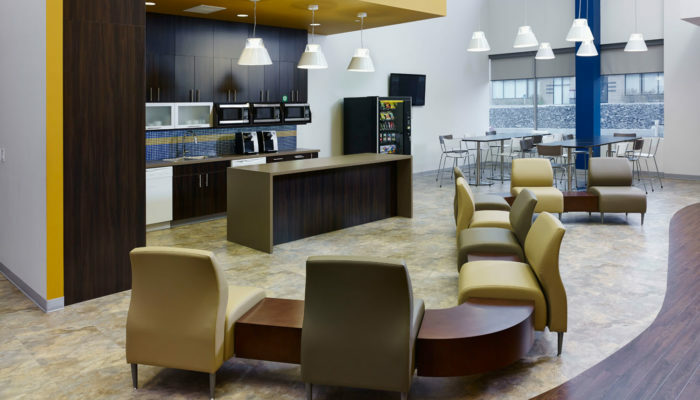 Beyond the office area, a billiards room offers a space for employees to relax and socialize. 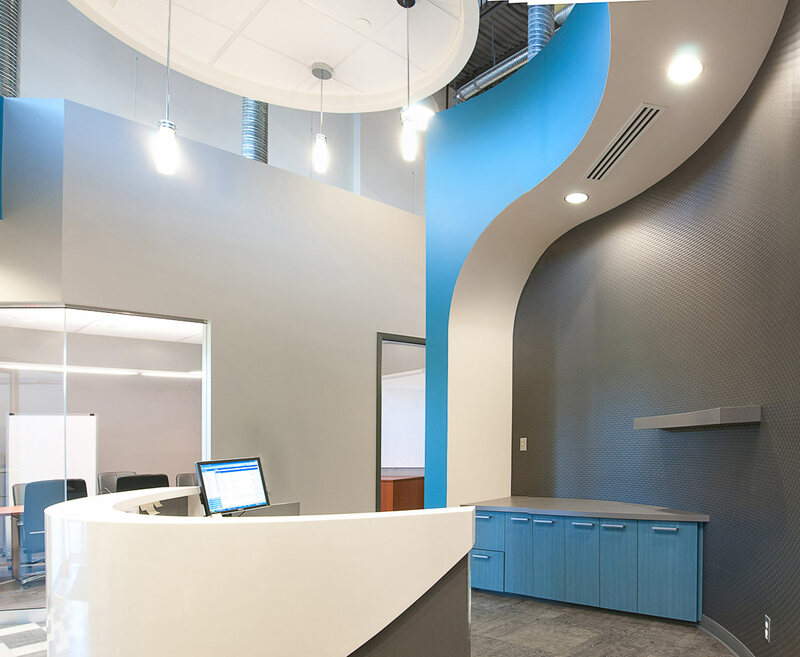 In the reception room, a bright blue bulkhead starts at the floor and wraps around the desk, creating a captivating winding effect. 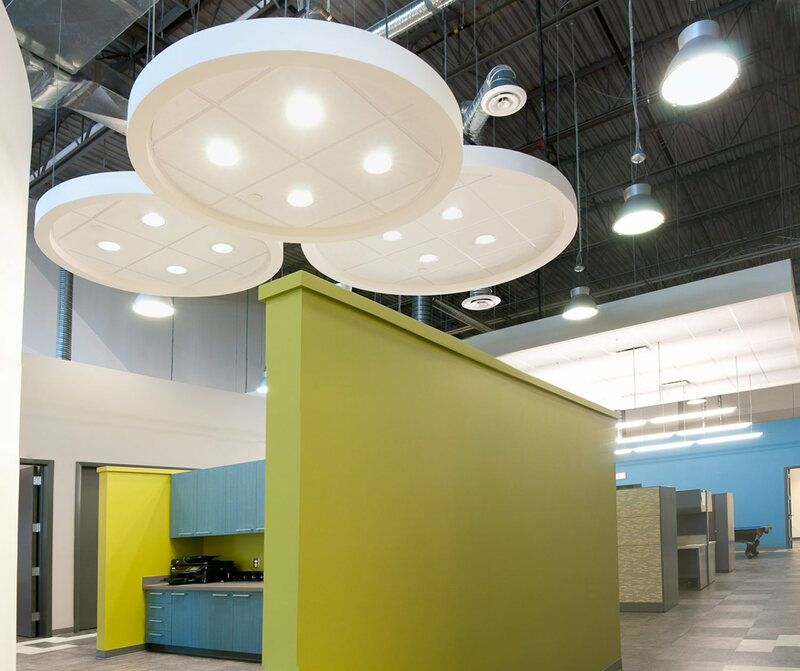 Light pendants drop from floating ceiling discs, adding to the contemporary vibe. 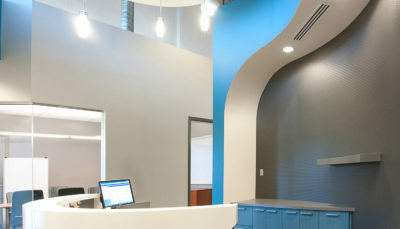 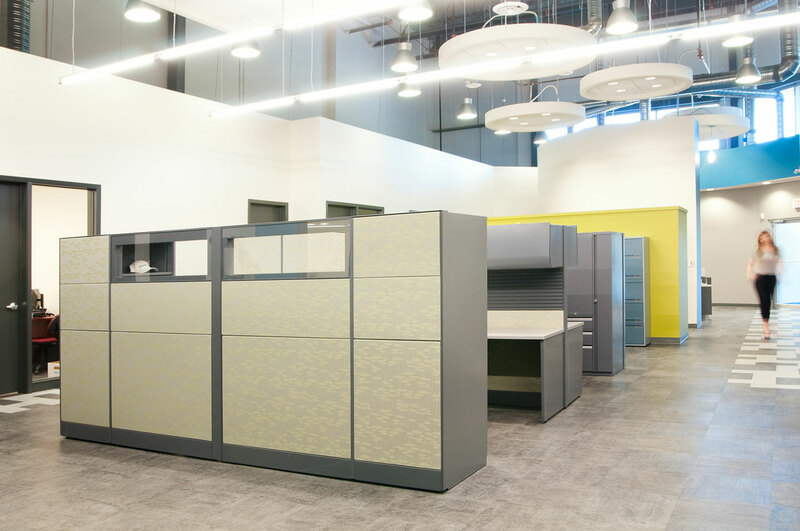 Material textures offset the neutral grey and white base palette, while vibrant blue and green motifs intersperse Wavefront’s brand colours throughout the space. 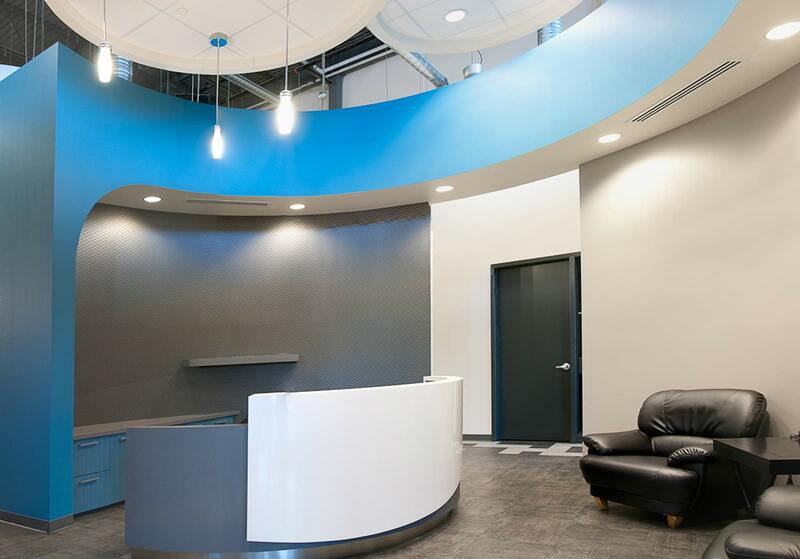 This workspace personifies Wavefront’s global leadership in fracking technology.